Caleb and Bryceton are brothers, and it’s SAFE to say that they share a lot in common. See what we did there? Safe… Yeah, that was BASE-ically awesome. Not as awesome as Caleb and Bryceton, though! Check out these 11 photos to see how awesome Caleb and Bryceton really are. 2.) Meet Caleb and Bryceton. 3.) Caleb, 9 yrs old, and Bryceton, 10 yrs old, are some athletic brothers to say the least. 4.) Interesting fact: These two don’t even know what a “bench” is because they’ve never sat on one. 7.) And pulling triple plays! 9.) What about him, you ask? 10.) The Same. Exact. Thing. 11.) It’s a good thing these talented athletes have each other for practice partners, because the rest of us wouldn’t be able to keep up. If you enjoyed these photos, please let us know for we welcome your feedback in the comments below! Also, if you’d like to inquire about booking your very own session simply Text the keyword ICONIC to 24587 now. Lenz Photography are Commercial, Advertising, Sports photographers based in Atlanta, Georgia and Knoxville, Tennessee. Lenz covers clients from Atlanta, Knoxville, Nashville, Savannah, Memphis, Topeka, and the entire world. Knoxville Sports Photography. 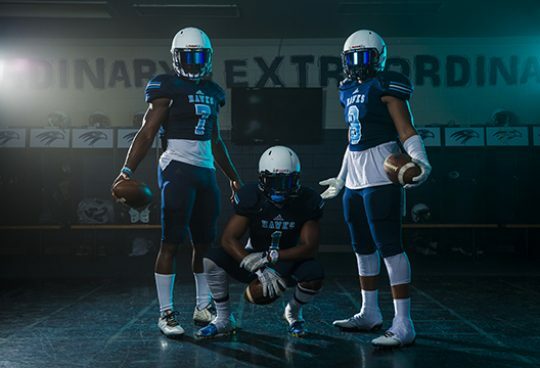 The Iconic Hardin Valley Football Squad Look Like They Stepped out of a Video Game!